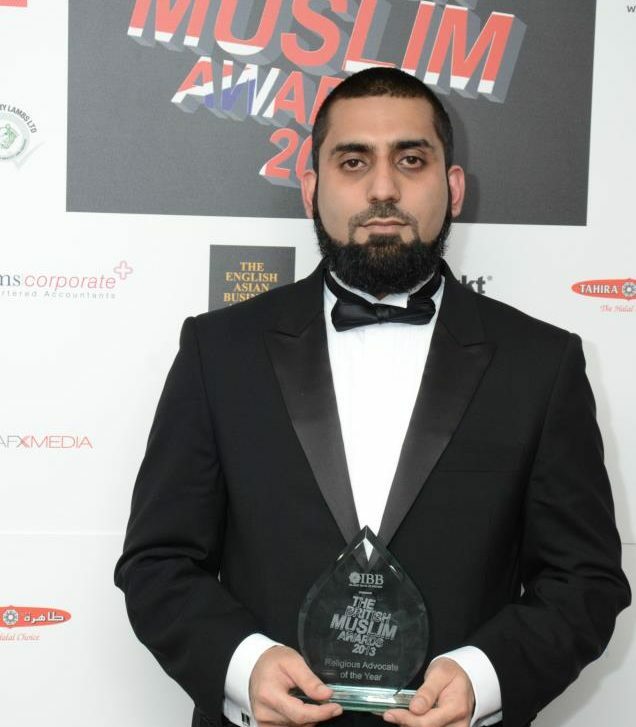 ASTANA – Born and raised in the U.K., British lawyer and arbitrator, Freeman of the City of London, Shariah scholar and Islamic finance expert Sheikh Bilal Khan wanted to excel professionally while maintaining a link with his family’s traditional roots in South East Asia. He has achieved both goals by contributing his unique proficiency to the Astana International Financial Centre (AIFC). Shariah scholar and Islamic finance expert Sheikh Bilal Khan (R). “After developing expertise in Islamic finance, I studied [for a] LL.B law degree and then the legal practice in banking and finance and an MBA in various British universities. Prior to joining the AIFC, I served on numerous high-profile boards including being Vice Chairman of the Mosaic International Leadership Programme of the U.K. Prince’s Trust; as Senior Adviser to the British All-Party Parliamentary Groups, which are composed of Parliamentarians from both the House of Commons and the House of Lords, and other important positions. I have been working on legal cases from different jurisdictions across the globe either related to Islamic finance or general commercial disputes,” he said in an exclusive interview with The Astana Times. 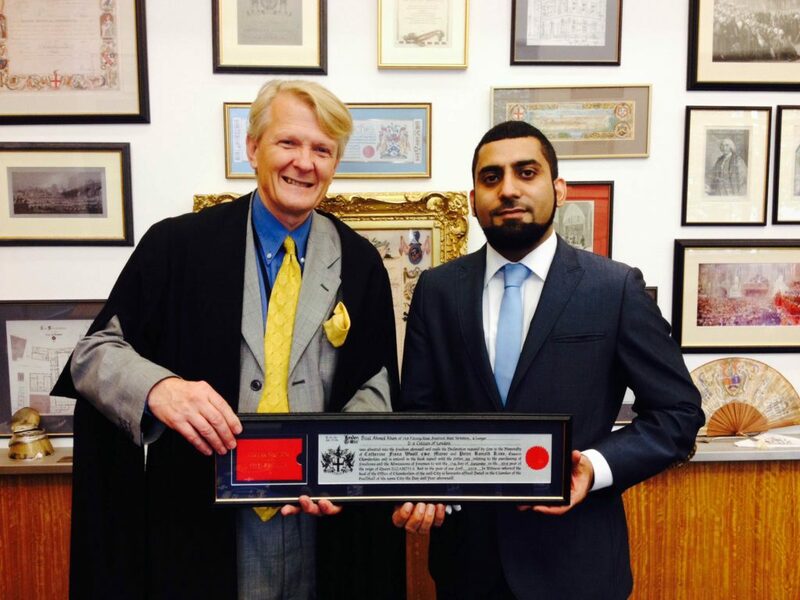 AIFC has benefitted by attracting Khan, as he is both an English qualified lawyer from one of the leading Magic Circle law firms and an international Shariah scholar. It is extremely rare to find an experienced specialist in both fields. Khan is a member of the AIFC Advisory Council on Islamic Finance (ACIF) and AIFC International Arbitration Centre (IAC) panel of arbitrators. IAC provides an independent and expeditious alternative to court litigation and operates at the highest international standards to resolve AIFC civil and commercial disputes. “First, the process of taking a matter to a court is called litigation. Every other dispute resolution mechanism except for litigation is referred to as alternative dispute resolution (ADR), which includes arbitration, and some of the other types are mediation and negotiation,” he said. He compared the formality of litigation, which is generally held in a courtroom and must follow precise rules and requirements, to the less strict setting for arbitration. “Arbitration proceedings can be conducted without any pre-set strictures and can be convened wherever the parties mutually agree, which can be in an office, in a meeting room or in a private room of a hotel,” he added. Courts are required to follow particular rules of legal jurisdiction, while arbitration does not have such pre-requisites. “If you consider, for instance, an Islamic finance dispute, then the parties can even choose Islamic law, Kazakh national law or any other framework which is mutually agreed,” said Kahn. “In almost all instances of litigation with some rare exceptions, the parties have to meet in person with other officers of the court and lay personnel while arbitration can be held via video or audio conference technology,” he added. The methods also differ regarding who will represent the parties and preside over the proceedings. “Litigation requires a duly appointed judge and advocacy by certified lawyers with proper higher rights of court audience. In contrast, in an arbitration, the parties can appoint on an ad hoc basis a mutually agreed person and there is no requirement for representation by advocates albeit in complex, cutting-edge and cross-border matters, [where] there are experienced adjudicating arbitrators, and parties can have representation,” said Kahn. In an arbitration, the parties may choose any language or medium of communication and instruction; litigation proceedings are conducted in the national language where the court is based or in English. Courts also have strict timelines and dates for submissions and hearings. “If any of the parties fail to file their papers, there can be a summary judgement against them, the case can be struck out or costs can be awarded against them, whereas arbitration does not have any such deadlines unless mutually agreed by the parties,” he noted. Resolving disputes in court can be extremely costly and time consuming, while arbitration is far more cost effective and time efficient. Court proceedings can be broadcast in the media and are mostly open to the public; one of the main benefits of arbitration is that it is private, confidential and never published. “Finally, the outcome of arbitration, known as an arbitral award, is enforceable in similar fashion to a court judgement. Thus, the winning party can enforce the arbitral award in the courts of all signatory countries of the Convention on the Recognition and Enforcement of Foreign Arbitral Awards (New York Convention) of 1958. The list of the countries is very extensive, as it includes most countries,” he added. Kahn noted he is quite satisfied with the development of the IAC and growth of AIFC. None of the major arbitration centres have arbitrators who are both Shariah scholars and internationally qualified English lawyers. He added IAC is unique. It is the only such centre in the Central Asian region and an integral part of AIFC jurisdiction with all of its advantages and attractions for its participants. Starting the arbitration process is very simple. The procedure begins by contacting the IAC Registrar, who forwards all the required information and documents. In conjunction with his team, the registrar guides the individual through the necessary procedures. In case of queries or potential matters for arbitration, important information and contacts are available at www.aifc-iac.kz.